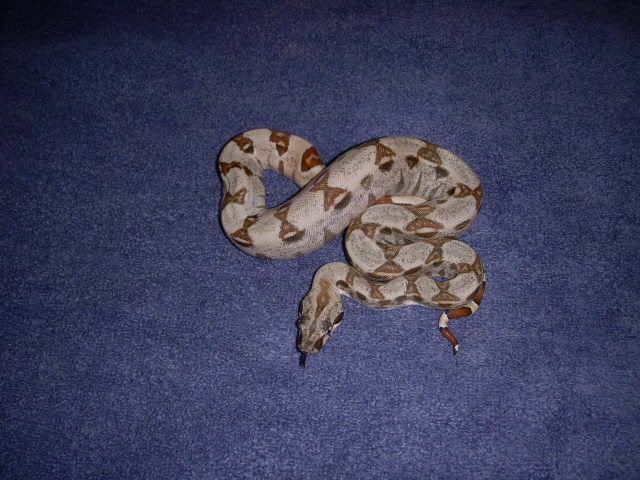 great looking het.. hope it works out for you next year.. moonglows are a very pretty boa! I hope to produce a few in a few years! but need my hets first! Thanks. I agree, moonglows are amazing. there aren't too many of them. i think the odds of hitting a moonglow is 1/32. i hope the odds work in your favor! i'm going to breed this guy to a snow and keep my fingers crossed. breeding it to a snow.. you have a real good chance to hit it.. plus get sunglows and whatnot! be a nice project for sure! i just noticed you're from albert lea. did you by chance make it to the iowa show this weekend? Really nice Don! I like the nice reverse stripe thing. She's a keeper! No wasnt able to.. Last year I vended at both shows.. but just not enough critters this year to do it. have I met you? I vended down there with a couple of buddies last year. only had colubrids to sell there. were you the guy next to us with your girlfriend? lol yup watchin Chuck and Larry! LOL! small world. i'm the one that got 2 boas from matt. ah ok.. I sold those hypos I got from him.. wish I would have kept them but you know how that goes... and the male dum I have for sale in the pair is from him.. way too funny! Glad to be able to chat again! make it down to the des moines show this year? I heard it was really small.. I didn't make it, but i know Bruce from Twin cities reptiles went down there and so did matt. I'm saving the cassh for a better show. way it sounds.. we didnt miss much at all.. mostly sounded like ball pythons.. I am a boa guy by heart! Hey how old is that triple het of yours? do you have YIM? 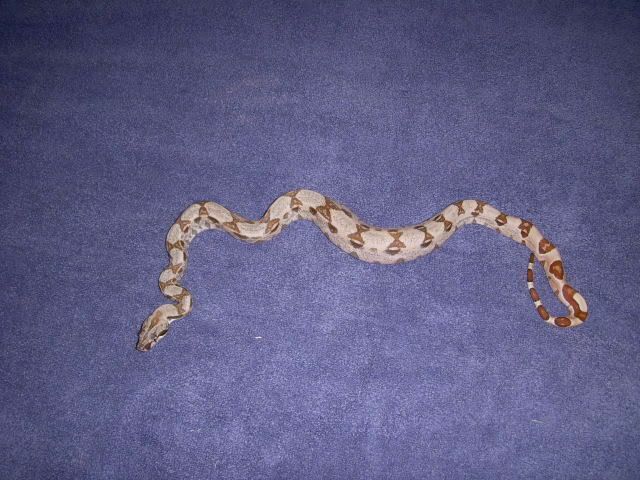 The triple het is an 08 male. the female snow is already to go, he should be good next year. what is YIM? lol she is the reason I am looking for a 07 or older DH sunglow male! Want to breed her this fall.. then she will have next year off..
unfortunately I don't have any extra males for this year. otherwise i would let you use one. there you go! that would be cool. indeed! I have seen a few pastel sunglows... they are awsome!